Are you wondering how to get rid of squirrels in your home or yard? If you are in need of squirrel control, we can help! Squirrels can cause a number of problems both to your yard and home. Squirrels can carry diseases, parasites, fleas, ticks, mice, and even ringworm. They can also cause unwanted havoc on trees and plants in your backyard. Do you have squirrels in your attic? Look around to see if you can find any chew marks on your walls, holes or side of the house. Squirrels can cause chew throught electrical wires or outlets causing you to have costly repair bills and or even a fire hazard. One solution to this problem is to install proper attic insulation to keep squirrels out of your attic for good. Contact us today for a free quote. Our professional licensed wildlife control experts are trained to use a variety of methods for squirrel removal. We use humane catch and release traps for all of our wildlife management and control to help you get rid of squirrels in your yard. In some cases, entry points need to be sealed off which our insulation contractors can help with. To learn more, read our attic insulation FAQ’s here. If you are in need of squirrel removal services in Upstate New York, you can count on us. We service Albany, Washington, Saratoga, and Herkimer counties in NY and surrounding counties in Vermont including Bennington, Addison, Chittenden, Rutlan and Franklin, VT.
Ready to get rid of squirrels in your home or yard? 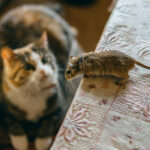 Contact the experts at Nature’s Way Pest Control. Give us a call today for your free estimate or fill out our form online and someone will get back to you shortly! 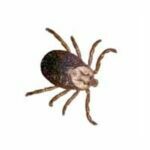 How to Get Rid of Ticks in the House or Yard FAST! 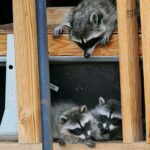 Is Your Attic Pest Proof?